The Maine are an American rock band from Tempe, Arizona formed in 2007. Their debut album, Can’t Stop Won’t Stop, came out in 2008, followed by Black and White in 2010 – and both received incredible fan support. 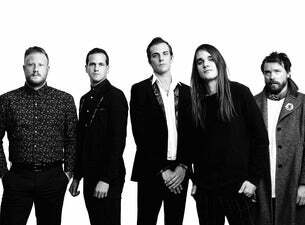 The Maine now have six albums to their name, with 2017’s Lovely Little Lonely their most recent collection. This past June they also released a new acoustic album, entitled Less Noise: A Collection of Acoustic Songs by a Band Called The Maine.